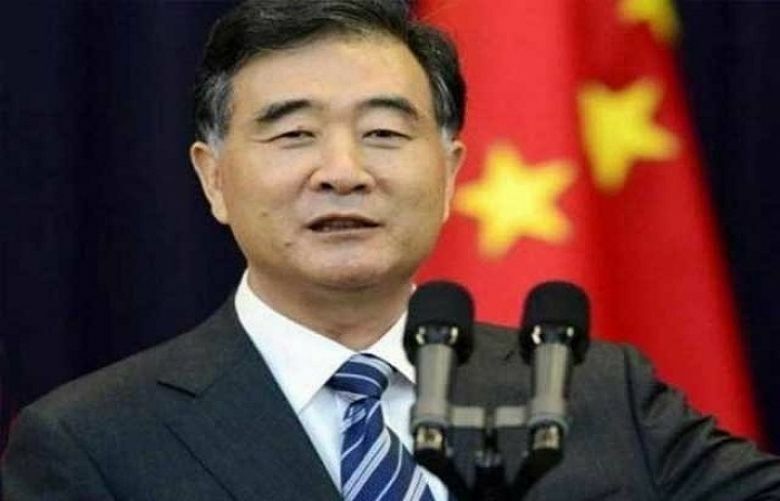 ISLAMABAD: Vice-Premier of the State Council of China, Wang Yang on Sunday arrived in Pakistan along with a high-level delegation to participate in the 70th Independence Day celebrations. The Chinese VP is undertaking the visit (from Aug 13-14) on the directions of President Xi Jinping as a special gesture to participate in the 70th Independence Day Celebrations. Chinese Ambassador to Pakistan Sun Weidong received the dignitary at the Benazir Bhutto International Airport. Earlier in March, a contingent of the guard of honour of the three services of the Chinese People’s Liberation Army (PLA) took part in the Pakistan military parade held in Islamabad to mark the Pakistan Day. During his visit, the Vice Premier will attend the flag-hoisting ceremony on August 14 as a special guest, and call on President Mamnoon Hussain and Prime Minister Shahid Khaqan Abbasi, Foreign Minister Khawaja Asif and Chief of Army Staff, Gen Qamar Bajwa. His visit on this important milestone for Pakistan is a reflection of the all-weather strategic cooperative partnership between Pakistan and China, a Foreign Office spokesman said. Yang will also participate in inauguration ceremonies of several China-Pakistan Economic Corridor (CPEC) projects and witness the signing of bilateral agreements between the two countries.